Donald Lloyd Frey Sr., age 67, passed away Monday April 1. 2019 in Whitefish Montana. Donald was born August 15, 1951 in Bremerton, Washington to John and Marlys Frey. Don grew up in Garrison North Dakota. At age 15 he decided to go and travel the country side custom combining. He did that for a couple years and at age 17 he enlisted in the Navy. He proudly served from 1968-1971. He was able to travel the world and see other countries. He was on a mine sweeper during the Vietnam War. He was a diesel mechanic, and the captain right hand man. He continued working as a diesel mechanic after his honorable discharge from the Navy. He moved to Columbia Falls in 1971 where he and his wife Sharon started their family. Throughout the years he worked at the lumber mills, then he and his father opened Frey’s meats in 1984. In the off season he did custom haying for several people in the valley. He loved what he did and was very passionate about his work. He coached baseball for over 30 years. He coached all ages from 8-18 year olds: Deer Park Baseball, Little League, Columbia Falls Babe Ruth Baseball, and American Legion Baseball. He coached for Columba falls little guy wrestling. He touched the lives of many kids that are now adults today. He impacted lives on every level. During the last five years of his life he moved to Idaho with his daughter and her family. He was able to enjoy those retirement years spending time with grandkids, going fishing, camping and he learned how to play guitar. 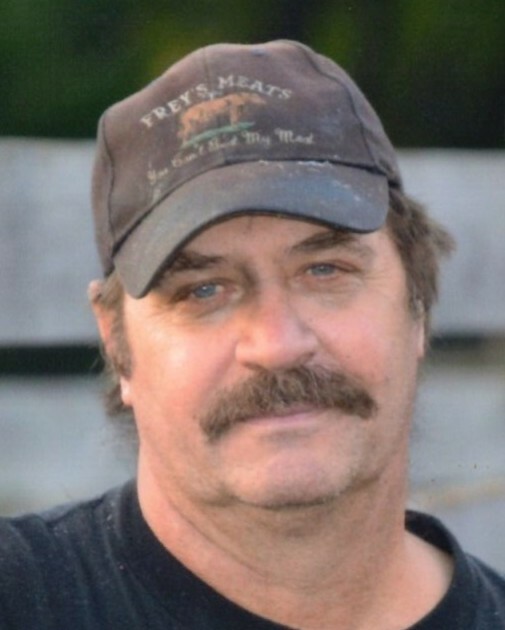 He survived by his three children: Donald Frey Jr., Shawna Smith and Justin Frey, 9 grandchildren, sister Marla Smith, brothers Lonnie Frey, Johnnie Frey, Melvin Frey. He is proceeded in death by his parents John and Marlys Frey, Brothers Rodney Frey and Ronnie Frey, Sister Gloria Crawford, and 2 sons Cody Frey and Branden Frey. Don was loved by many and he had so many friends who loved him dearly, he was a brave and courageous man. He will be missed by friends and family forever. A visitation will be held for Don on Friday April 5, 2019 at Columbia Mortuary from 6pm to 8pm. Funeral services will be held on Saturday April 6 at 10am at the Deer Park School gymnasium: 2105 Middle Road Columbia Falls. Burial will be at Woodlawn cemetery and a luncheon will follow at the Back room. Columbia Mortuary in Columbia falls is caring for Don’s family.